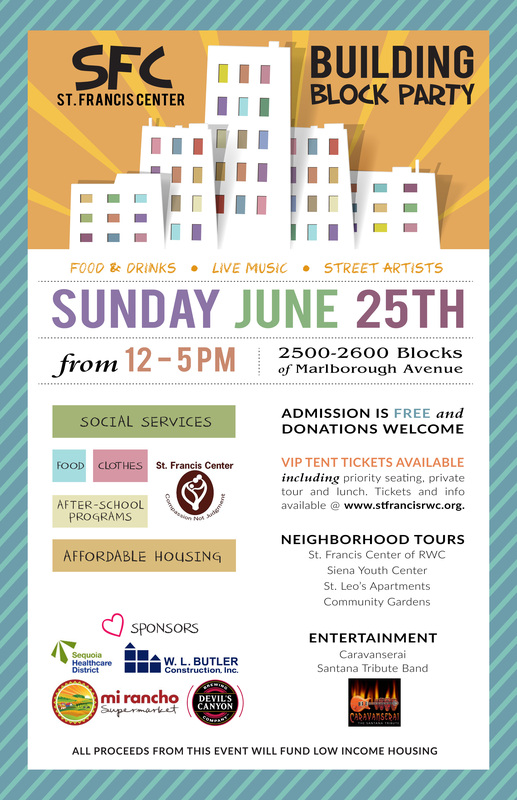 Join us June 25, 2017 for a Building Block Party! 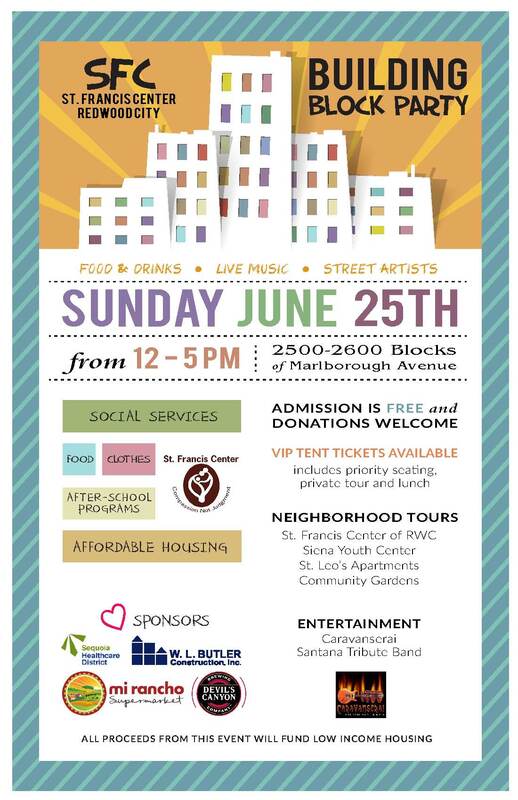 Please join us for a relaxing afternoon of entertainment featuring the Santana Tribute Band “Caravanserai” on Sunday, June 25th, to benefit the St. Francis Center of Redwood City. Though admission is free, proceeds from all food, beverage and vendor purchases will go toward funding low income housing in the immediate area. READY TO DONATE IN ADVANCE? Note that all VIP members will receive special accommodations in our VIP tent, complete with delicious assortment of appetizers, lunch and beverages. VIP’s will also be given early guided access to the above-referenced sites. Please contact Sue Lehr Mitchell, Event Chair, for more information about this event: 650.619.9311 (cell). 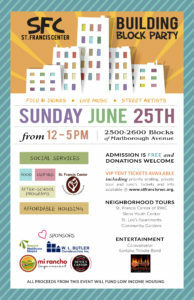 Please contact Sue Lehr Mitchell, Event Chair, for more information on our SFC Building Blocks Party.